CUT & CLEAR Spray, 10 oz bottle – $15.00 each — This traditional recipe combines a peachy, sweet smell with vital herbs and oils to remove unwanted attachments and sever toxic ties. 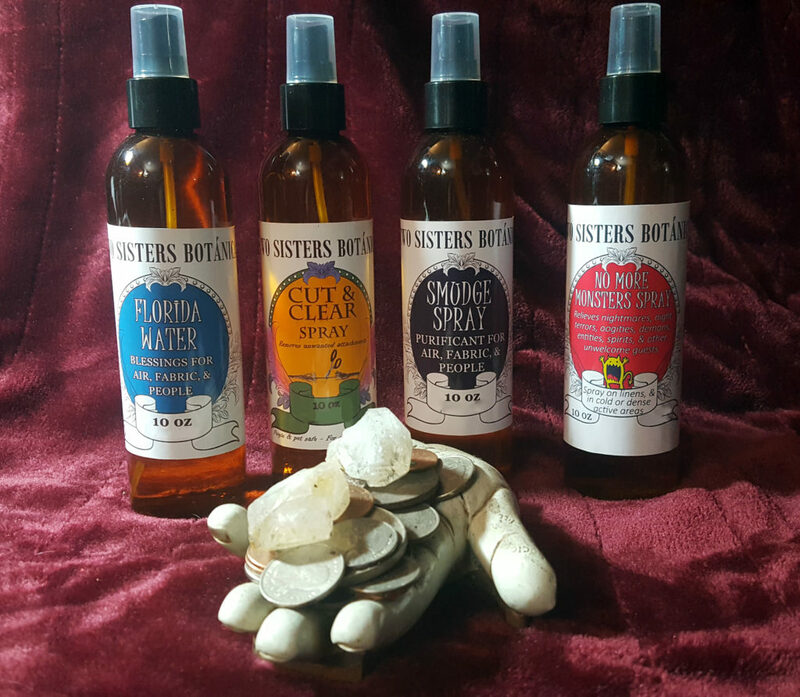 NO MORE MONSTERS Spray, 10 oz bottle – $15.00 each — Two Sisters Botanica is famous for their No More Monsters spray. Originally created for children suffering from nightmares or night terrors, as well as those who are sensitive to spirits and have trouble sleeping with them around, this spray creates stillness and peace. It will not get rid of friendly spirits if you wish them to stay, but instead creates boundaries to allow sleep and peace to occur. It can be used in more intense banishing work if you want the entities to leave as it does contain actual exorcism herbs. It has a pleasant earthy, spicy scent, but packs a punch. 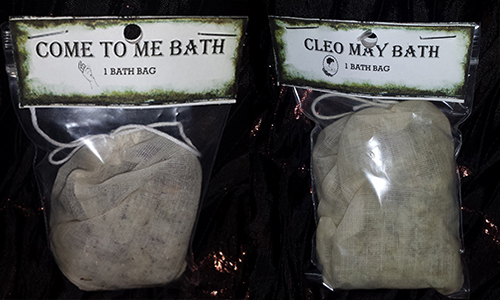 Use on bed linens and in dense, chilly, or other uncomfortable places (under the bed, in the closet, in the shower). 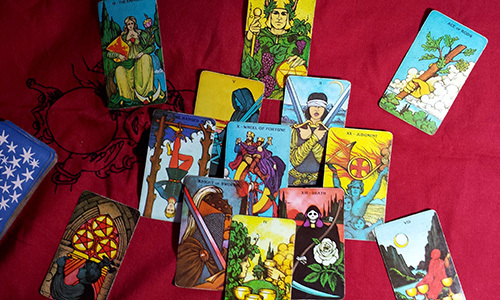 Great for empaths who want a break as it “turns off the radio” for a moment’s peace.